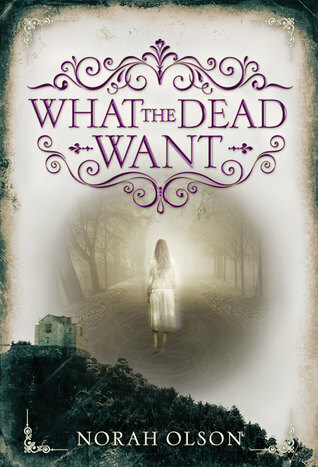 I was in the mood for something different, fun, and hopefully spooky with just the right amount of paranormal woo hoo and mystery to keep me turning the pages and be on edge. With a slight creepy undertone and mystery galore, this really was a good read that was different from the norm. A read to take you away for a few hours and give you something with just enough of the creepy factor to keep you on edge and just enough of that mystery that lovers like me crave to keep you entertained and wanting more. A good read for fans of the genre and those that want to try it for the first time. Creepy! There's something about reading these type of books in the bright sunlight. The incongruity of it amps the creep factor more. Lol. Is that weird? Nope not at all and I agree! I do love the cover and synopsis for sure. This sounds different for sure and a great way to try out this author. Thanks for the review! It wasn't very long so it is a good way to get a feel for their writing Tyler. Love that cover! Glad it fit for what you were looking for! I've been in the mood for something like this lately, so it definitely looks like one that I can get lost in for a few hours. Great review! I'm so glad you enjoyed this, Ali! It's coming up on my list as well and I was really trying to find some enthusiams for it. You helped. Wonderful review. Thanks Maja and I do hope you like it. It isn't perfect but it was fun nonetheless. This sounds like one I would like. Perfect Fall reading! It would be great for fall. The rating was more for the fact that it wasn't as creepy or mysterious as I wanted it to be but it was still good, just not blow you away good. Doesn't sound too bad! I do really like "spooky" stories more these days than when I was younger. That;s all we need to know. Thanks! You always find the most interesting books. I love how creepy the cover looks. It sounds pretty good? Sometimes for me a YA mystery is a bit easy to solve so they don't always do it for me. At least in my experience-and not that I have that much! So what do I know? :)But I do like that it's creepy! I know what you mean. I usually feel that way as well about them. I love a little spook and woo hoo during the summer to take my mond of the 105 degrees outside, lol! This sounds like a great escape. I alway love to see you excited over a book, Ali! <3 It's always so fun to see you fan girl! <3 I'm so glad you liked this one and once I looked at the cover, I knew I had to read it. It seems like its' the perfect amount of spookiness and creepiness! They can be for sure but for some reason they always have the best descriptions and draw me in. I'm glad you could enjoy this one :). This sounds like an interesting book! But I am not sure If I am going to read but I am happy that you enjoyed this. What Gretchen unfolds is a mystery and may just help her find her mother. This is a great read that I read in two days. Glad you read and liked it. creepy and mysterious, I am all over it. Sounds interesting. I don't know about YA though. My last two YAs weren't great for me. Maybe someday. I love that cover though. Great review. I do really like the cover.